Volusion is an e-commerce platform that helps you build and manage your online store. Connect with BlueSnap to get your merchant account and enable global payment processing. Learn More. 3dcart is an e-commerce platform that has everything you need to build your online store. Connect BlueSnap to 3dcart in order to enable global payment processing. Learn More. Simultaneously sell on websites, mobile phones, social sites, and marketplaces like eBay and Google Shopping. Connect BlueSnap to Ecwid in order to enable global payment processing. Learn More. Ubercart is an open source e-commerce shopping cart that fully integrates online stores with Drupal. Connect BlueSnap to Ubercart to enable global payment processing. UltraCart is an easy to use shopping cart software that can grow with your business. Connect BlueSnap to UltraCart for global payment processing. Network Solutions is a domain name registration service and e-commerce shopping cart platform. Connect BlueSnap to Network Solutions to enable global payment processing. Yola is a website building and hosting platform that allows you to use tools to easily create an online store. Connect BlueSnap to Yola to enable global payment processing. LimeLight CRM is a continuity commerce platform providing marketing automation and billing optimization. Connect BlueSnap to Limelight to enable global payment processing. Konnektive CRM is a customer transaction and advertising management platform. Link BlueSnap to Konnektive to enable global payment processing. Learn More. InfusionSoft provides sales and marketing automation software for small businesses that combine CRM, email marketing, and e-commerce. Connect BlueSnap to InfusionSoft to enable global payment processing. /n software eliminates much of the complexity of developing connected applications to provide easy-to-use programmable components. Use /n software's e-payments integrator to enable global payment processing with BlueSnap. Learn More. Taxamo will calculate in real-time and assume the liability for VAT and GST for all your international sales. Connect with BlueSnap and use Taxamo for your end-to-end payment processing and tax needs. Chikpea solutions are designed to augment your usage of Salesforce CRM upgrading it into a Subscriber Relationship Management System (SRM). Connect BlueSnap to Chikpea in order to enable full global processing. EventsAIR is an events management platform for events of all sizes and formats. BlueSnap is integrated with EventsAIR so you can process payments globally. AppDirect is a market leader in the cloud services sector providing marketplace, billing, reseller and distribution solutions. Launch your own white label marketplace and become a cloud service broker, using BlueSnap to process your payments. Learn more. With a few clicks, and no development effort, you have integrations to 750+ apps such as Salesforce, Hubspot, and Quickbooks. Through this connection you can share your pertinent BlueSnap data with other web applications within your organization. Fill out the form below to learn more. Learn More. 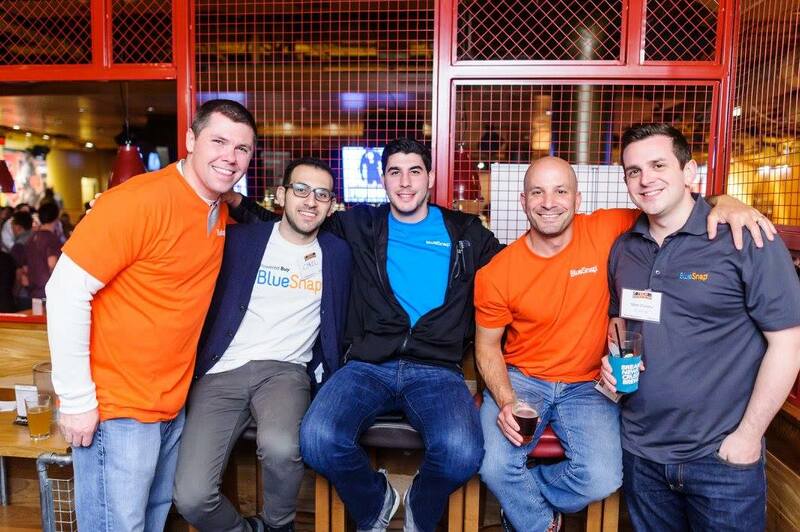 Hubspot is cloud-based, inbound marketing software and CRM system. BlueSnap takes your insights further by incooperating your transaction data to help you analyze and improve conversions. First Data (NYSE: FDC) is a global leader in commerce-enabling technology, serving approximately 6 million business locations and 4,000 financial institutions in more than 100 countries around the world. The company’s 22,000 owner-associates are dedicated to helping companies, from start-ups to the world’s largest corporations, conduct commerce every day by securing and processing more than 3,000 transactions per second and $2.4 trillion per year. This partnership combines the power of BlueSnap’s All-in-one Payment Platform with the vast ecosystem of global and local payments solutions offered by First Data. First Data is now able to deliver BlueSnap’s market-leading ecommerce technology solution to their distribution partner banks and clients eager to expand their businesses. Learn more. Ethoca is a secure network for merchants and card issuers that helps identify fraudulant and suspicious transactions to prevent fraud losses and chargebacks. BlueSnap has combined Kount’s fraud prevention techniques with BlueSnap’s own repertoire of fraud prevention and security solutions, which includes tokenization, client- side encryption and card fingerprinting. Merchants can use Kount’s services regardless of whether they integrate with BlueSnap via an API and elect to use BlueSnap’s BuyNow Hosted Checkout pages. Learn More. SecurityMetrics protects electronic commerce and payments leaders, global acquirers, and their retail customers from security breaches and data theft. BlueSnap streamlines PCI 3.0 compliance for merchants; Integration with SecurityMetrics will help BlueSnap merchants with new Visa & MasterCard compliance rules. BlueSnap has partnered with Verifi to help merchants prevent chargebacks. Verifi’s Cardholder Dispute Resolution NetworkTM (CDRN) is now available to merchants via BlueSnap’s Smarter Payment Gateway. Learn More. Chargebacks911 specializes in chargeback remediation. With BlueSnap you determine your level of control with two dispute management options, automated or full-service. Let us manage your chargebacks, so that you can focus on growing your business. Add the power of Chargebacks911 to your BlueSnap account to boost your bottom line. CardinalCommerce is a global leader in authenticating digital transactions for issuers and merchants with technology-leading products reduce fraud, help increase sales and reduce consumer friction for card-not-present transactions. BlueSnap has joined forces with CardinalCommerce to integrate their 3D Secure Merchant Plug-in with our All-in-one Payment Platform to help merchants define their consumer authentication strategies. Learn more. BlueSnap makes it easy to accept PayPal by connecting your PayPal and BlueSnap accounts. This is available for any BlueSnap solution, whether hosted or the API. Learn more about enabling PayPal into your checkout in our docs. MasterPass is a digital wallet that securely stores a shopper's payment and shipping details. It supports all major credit and debit card types. Add Masterpass to your checkout to increase conversions across devices. If you already have a BlueSnap account, go here to enable this payment method. Visa Checkout provides an easy and secure purchase experience for customers. Add Visa Checkout to your checkout to increase conversions across devices. If you already have a BlueSnap account, read the docs to learn how to enable Visa Checkout to your checkout experience. Alipay is a digital wallet that provides a secure and seamless checkout experience. Add Alipay to your checkout to increase online and mobile payment conversions across devices. If you already have a BlueSnap account, go here to enable this payment method. Payoneer is an industry-leading global payments company accelerating growth for its customers by improving the way they manage and pay partners, affiliates and independent workers in more than 200 countries worldwide. International merchants can receive funds from selected US corporations directly to their BlueSnap Prepaid Debit MasterCard® Card as a direct deposit transfer (US ACH). Fill out the form to learn more. Chargebee handles recurring subscription billing the smarter way to help reduce subscription churn and simplify billing & invoicing, payments & accounting, and reports & analytics. Connect BlueSnap to Chargebee to enable global payment processing. BlueSnap integrates with Avalara to ease tax difficulties for merchants selling internationally. Learn More. With the BlueSnap integration, you simply add your tracking code in a single location in the BlueSnap Control Panel and you can now track the progress of your visitors, as they move from prospects to customers. Kooneo is an eCommerce platform that helps you build and manage your online business. Connect with BlueSnap to sell to shoppers globally. StarPoint Solutions is an IT consultancy firm for outsourcing custom application development projects. Use Starpoint's expertise with BlueSnap's platform to integrate your application. iCount, an online accounting service, provides solutions for online billing and invoicing for merchants based in Israel. Connect iCount to BlueSnap to enable payment processing. Learn More. Green Invoice allows companies and freelancers to create and digitally sign invoices, receipts, and price quotes for merchants based in Israel. 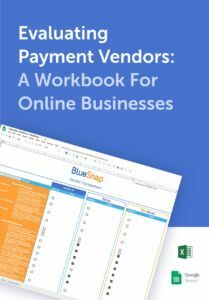 Connect Green Invoice to BlueSnap to enable payment processing. Learn More. Don’t see your app here? No worries. that might work for you?